For chic cocooning, there's nothing better than an ultra-comfortable and super stylish pair of pyjamas. And the little extra: they come in a matching pouch, a beautiful gift idea and practical for travelling. Discover the matching print boxers. Solid colour T-shirt with short sleeves: rounded neckline, print inside neckband in same fabric as the shorts. 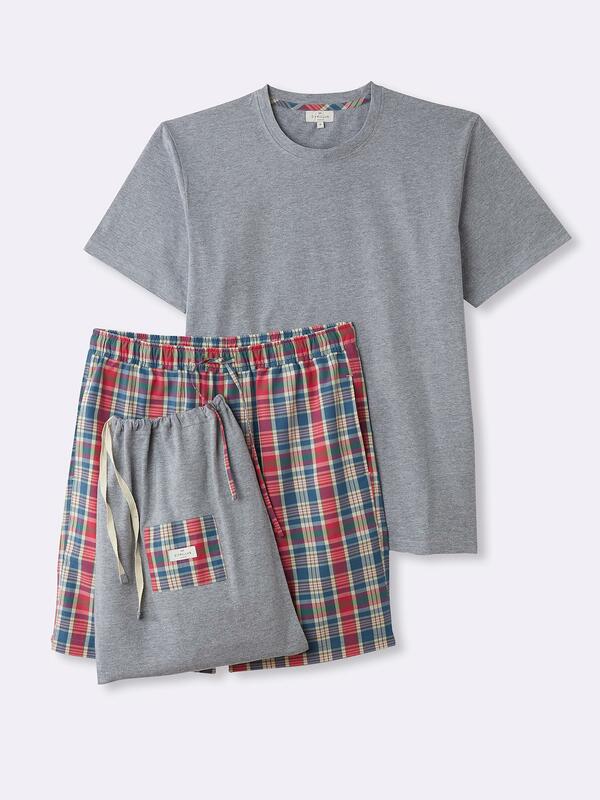 Check shorts: drawstring tie at the elastic waist. T-shirt, marled jersey 85% cotton, 15% viscose.